Bring on the side eye because the Best Thing on the Menu at Centrolina isn’t a pasta. 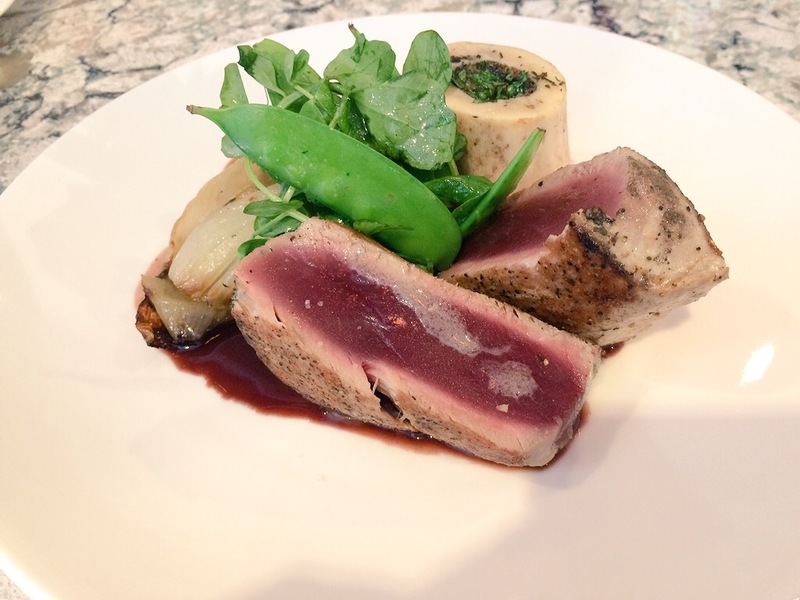 Rather, it’s surf & turf on speed: “Tonno” with rare tuna, bone marrow, charred onion, snap peas and Barbaresco. Chef Amy Brandwein’s CityCenterDC stunner has been open less than two months and we’ve already ordered it twice. Obviously, you’re not consuming the two main components in isolation. Grab a tiny spoon or fork fit for a squirrel and dig around inside the bone until you have a nice lobe of gelatinous goo and then spread the marrow on a slice of seared tuna. The hot and cool temperature combination is playful, and the wine reduction adds further richness. Is it $30? Yes, but at least you’re not throwing money at 10 different small plates and leaving hungry. 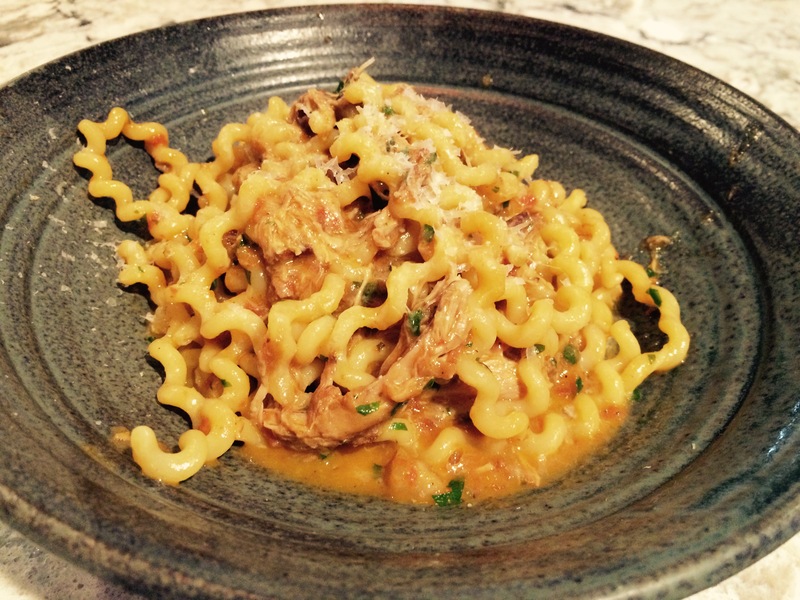 If you’re going to go down the pasta path, opt for the fusilli with suckling pig ragu and Moliterno cheese. On our last visit, it was an off-menu item Chef Brandwein was playing around with, but we’re happy to see it officially on the menu. Just one disclaimer: the Centrolina menu changes as often as an Italian fashion model, so don’t get too attached to dishes, especially the pastas. Tonno not your BTM? Share your favorites in the comments section. Find Centrolina (restaurant and market!) at 974 Palmer Alley NW in CityCenterDC. This entry was posted in Restaurants and tagged Amy Brandwein, CityCenterDC, Italian, New Restaurant, Pasta, Tonno. Bookmark the permalink.